Last night Principal Conductor Iván Fischer led the National Symphony Orchestra in a persuasive reading of excerpts of Wagner’s operas to a nearly full house at the Kennedy Center Concert Hall. The prelude to Die Meistersinger opened with a meagerly narrow sound that fortunately unified as the musical tension built through to the work’s end. Ever demanding and clear with a very formal stick technique, Fischer kept the somewhat hesitant orchestra forging ahead. 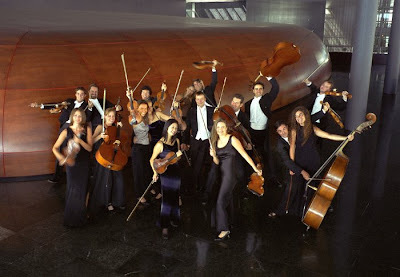 The string and brass sections were the strongest units of the orchestra; however, overall the sections of the orchestra lacked adequate cohesion to play as one body. 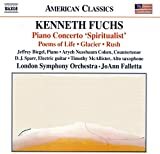 Fischer’s diligence definitely brings the goal in sight, and it is wonderful to see him back on the podium as his rapport with the orchestra appears to consistently be mutually respectful. Dawn and Siedgried’s Rhine Jouney from Götterdämmerung conveyed love, fire, water, and darkness. The highly embarrassing horn flubs in the exposed opening were made up for by wandering high-Romantic cello lines that one never wanted to end. The Prelude and Liebestod from Tristan und Isolde featured constant modulations and multiple climaxes of the piercing upward motif. Soprano Elizabeth Connell's rich voice did not quite consistently soar above the orchestra, leading the orchestra to muzzle their volume and intensity when it was most needed. Wagner’s dragging out of harmonic changes by roving between keys and to fascinating aural territory makes for an ethereal listening experience. However, when large structural harmonic changes do take place, Fischer always made a point of making them known to both orchestra and audience. For example, near the end of the Liebestod, Wagner spends minutes in dominant-function (V) harmonic territory, which the listener may contextualize as dominant only when it later resolves to the Tonic (I) in the coda. For any listeners out there hesitant about Liszt, he uses the same out-of-key small picture, basic harmony big-picture techniques. 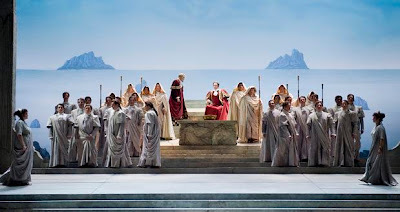 The second half of the program consisted of Act III, Scene III of Die Walküre, Wotan’s farewell to his “constantly defiant” daughter Brünnhilde with soprano Elizabeth Connell and bass-baritone Juha Uusitalo. Uusitalo (Wotan) took away his daughter’s divine powers with a directly intense tone both stable and always in motion. After accusing her of “blithely following love’s path,” Wotan reminisces that Brünnhilde will be “freer than I, the God.” The audience was fully entranced by the emotional complexity of the scene. Given the length of most Wagner evenings, most in the audience were likely just settling in, and like your reviewer, disappointed that the evening had to end, while thankful that the master programmer Fischer had brought his favorite works to Washington. This concert repeats this evening and tomorrow night (October 31 and November 1, 8 pm), in the Kennedy Center Concert Hall. Once again, we thank Washington Performing Arts Society for bringing legendary Italian pianist Maurizio Pollini to the Music Center at Strathmore on Wednesday night. His biennial visits to Washington are always a pleasure to be savored, this year as in 2006 and 2004. The program consisted entirely of works he has recorded in his burgeoning discography, almost all of it of the highest order. More than in any previous live hearing, the sense of Pollini as the summa of distant, icy technical perfection did not hold true. 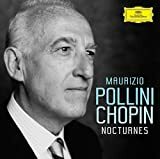 Not that Pollini's pianism has suffered that dramatically, but in previous recitals if one noticed one or two elided notes or slight inaccuracies, it was noteworthy, and here there were more, for whatever reason. 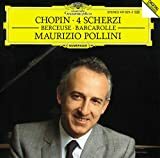 Pollini is now 66, and technical perfection must at some point begin to fade, so it is hardly surprising that a few more cracks became apparent in the flawless surface of this old world masterpiece. What has not faded is the intelligent, architectural comprehension of musical form in each work, or the careful phrasing and emotional control. The recital opened with two Beethoven sonatas, with the "Tempest" (op. 31, no. 2) providing an apt comparison with András Schiff's rendition earlier this month. Here was all the poetry that was missing in Schiff's somewhat methodical reading, an air of unpredictability in the heavily pedaled and drawn-out chords that return again and again, summoning up the image of the isle "full of noises, / Sounds, and sweet airs." Not only was Pollini's second movement carefree and idyllic, but the third was as flowing, natural, and dance-like as Schiff's had been stilted. The sense of restless agitation pervaded the work, as Pollini took no time to prepare the returns of the rondo theme, allowing it simply to unfold. 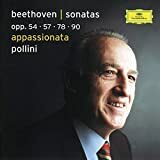 By contrast, Pollini's performance of the "Appassionata" (op. 57) did not measure up to the memories of the same work played on his 2004 recital. There was still plenty of vigor and inner-voice interest in the variations, but minor flaws by comparison to that earlier performance were too distracting. 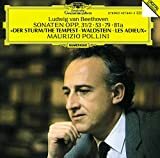 Pollini has a musically satisfying approach to Schumann, whose music can so often disappoint for so many measures before absolutely ravishing in only a few. That was true of this rendition of the C major fantasy (op. 17), which opened with a somewhat wild sound, the fantastic bordering on the unmetered in the first section. 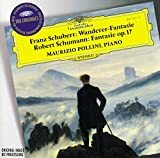 Mostly, Pollini excelled this time in the Eusebius half of Schumann's musical personality, with dreamy rhapsody in the wandering, aimless parts of the third movement (begun -- oh the shame! -- after some in the audience started clapping at the end of the second movement, causing the pianist to put his face in his hands in dismay). The Florestan-dominated second movement, perhaps intentionally, came off as a thoughtless, empty display of so many pages of endless, martial dotted rhythms, as if to reveal the simple-minded vulgarity of the more forthright, active part of Schumann's personality. 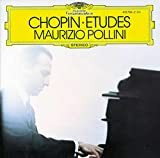 Chopin is one of Pollini's best composers, and lately he has been recording and performing the less flashy works, which now seem to be coming to the fore of Pollini's musical life, like Eusebius in his Schumann. The four mazurkas of op. 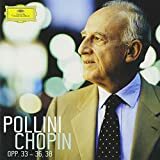 33, from Pollini's newest recording, were lovely, poetic, understated, especially no. 4. Ending with a bang in the second scherzo (op. 31), Pollini gave it a more unusual, personal shape than one has noted of him before, with considerable rhythmic freedom. 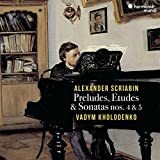 This seemed to reflect statements he has made about his approach to Chopin later in life, having noted that his early recordings of Chopin sound a little straight to him now. Some of the best playing was saved for the three encores, the first two of which he also offered as dessert two years ago. While the Revolutionary Etude (op. 10, no. 12) was powerful and sharp, it was the D-flat major nocturne (op. 27 no. 2) that most impressed, especially the silken bel canto roulades in the still masterful right hand (see embedded video below). A vibrant, vivid rendition of another etude (op. 10, no. 4) capped off the latest visit from Maurizio Pollini. How long until the next one? The next concert from Washington Performing Arts Society will feature violinist Midori and pianist Robert MacDonald on Sunday (November 2, 4 pm) in an adventurous program of Schumann, Cage, Enescu, and Beethoven, in the Music Center at Strathmore. A fall season pleasingly plein de French music continued at La Maison Française on Tuesday night, with a concert by the Chamber Orchestra of Philadelphia. The high point of the program turned out, as expected, to be the performance of French cellist Jean-Guihen Queyras as soloist in the C major cello concerto (Hob. VIIb:1) by Haydn. Queyras's recording of the Haydn concertos on a Baroque instrument, made a few years ago with the Freiburger Barockorchester, was glowingly received, and this had the same decorous, genteel sound. 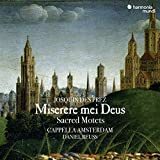 By comparison to the last performance of the work in our ears, that of Pieter Wispelwey with the Australian Chamber Orchestra last year, it was that much more pleasant to hear for being far less robust and rustic. Queyras's tone, by no means tepid, was distinguished by warmth more than force. He took a crisp approach, with admirable lightness in off-the-string sections and sparing vibrato even high on the A string. He also tended to smooth out the multi-stops and added many pleasing but minor embellishments. Queyras even created his own cadenza for the first movement, one which wryly incorporated, with seamless ingenuity, the opening notes of La Marseillaise as a tribute to his concitoyens in the embassy that sits, after all, on French soil. After a ravishing and wholly unaffected second movement, in which the orchestra did a good job of mostly just staying out of the way, the group launched into a darting, very fast rendition of the third movement. Unfortunately, the house lights coming up early appeared to convince the audience, full but not to capacity, to stop applauding, which deprived us of a solo encore. Tant pis pour nous! The COOP did not exactly measure up to the Freiburger Barockorchester, but the intentions behind the group's performance were rather different. The concerto and another Haydn selection, Symphony No. 8 (programmed for the first time in the ensemble's history), showed the group in the best light. 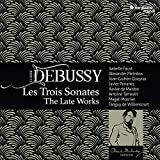 Le Soir, as it is known (the evening part of a trilogy devoted to the times of day), featured well-played solos from the string principals and especially the principal flute in the first movement. The menuetto, taken at a fairly rapid pace, was jolly, with a decent rendition of the intentionally absurd solo for double-bass. The tempest in the fourth movement rollicked with buzzing tremolos. The smiles among the players in the Haydn selections showed a preference for this music, reinforced by the unnuanced, bland sound they produced on the French selections, two Rameau arrangements and the ballet suite from Lully's Le Triomphe de l'Amour. 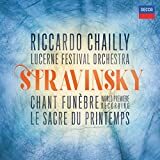 Normally, I would welcome the chance to hear that much Lully, but what I did hear (I arrived late, through a misreading of the start time) fell flat and colorless. Part of the blame goes to guest conductor Rudolf Werthen, standing in for the ensemble's relatively new music director, Ignat Solzhenitsyn (who happens to be a son of the author Aleksandr Solzhenitsyn and teaches piano at the Curtis Institute). Persistent intonation clashes, especially in the violin section, seemed due only to uncharacteristic carelessness. The next concert at La Maison Française will feature Opera Lafayette in yet more Haydn, cantatas performed by mezzo-soprano Stephanie Houtzeel, as well as music by Handel, who will also be the focus of an important anniversary in 2009. On October 24th, Sir Colin Davis visited his former orchestra, the BRSO, for a program of Mozart and Elgar. To see the old master and how the orchestra musicians, many of which still played under him when he was their MD from 1983 until 1993 (succeeding Kubelik, preceding Maazel), played for ‘their’ maestro was a joy. The Fifth Mozart Violin Concerto with Nikolaj Znaider as soloist was a stately affair, with Znaider not afraid of true pianissimos nor Davis of a determinately old fashioned approach to Mozart. Not the quick virility of Manze (HMU) or the idiosyncratic intensity of Mutter (DG), but an deep, buttery and lavish tone. A sense of eagerness, a radiance on the part of the orchestra was notable from the first notes of the Mozart on, in this performance as lovely as it was uneventful. Casual geniality, of one were kind, was the order of the night – except for the injection of dynamism in the Allegro of the Finale where the cellos got to bounce about and the strings swooshed in and out with gusto. Znaider’s encore of the Sarabande from Bach’s Partita no.1 was welcome but not his last word on the subject. Sir Colin then played ambassador of British music, treating the Munich crowd, which still adores him, to a Symphony that very few in the audience had ever heard or maybe even heard about. 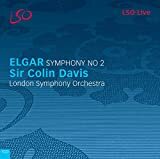 Elgar’s Symphony no.2, op.63 was lovingly shaped and the orchestra keenly followed Davis with the security and precision that one can expect from a radio symphony orchestra even in unfamiliar fare, but with the sense of playing by the seat of their pants retained. 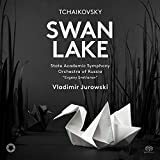 This was charming, but not conducive to wrestling structure out of the lovely glob of music that this symphony – especially the first movement – is. 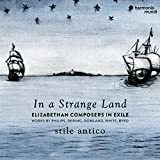 From the controlled “Jell-O” feel of the Andante Davis moved to the Allegro molto which carried that noble British spirit (whether it be real or an imagined, clichéd idea that non-Brits have about the fair isle) – and it was carried most movingly under his hands. A better music can’t be imagined to read Percy Bysshe Shelley’s “Spirit of Delight” to, which Elgar said explained (but not described) the Symphony he considered (along with The Music Makers and the Violin Concerto) to be his most distinct and dear musical statement. With good will, a set of sympathetic ears, and a well conducted, well played account, a great symphony can be pealed from this music. Colin Davis and his band held up their end of the bargain, making sure that a prize-worthy account was beamed into the households of those who listened live to this concert on “Bayern 4” radio. 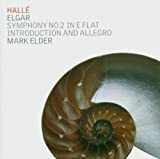 Households in a country curiously bereft of Elgar (any British music, really) these days, when it was once the country where Elgar (and Delius, among other British composers) came to fame and recognition before he had either at home. In short, it was a night of successful cultural diplomacy. Nikolaj Znaider will also play Mozart's fifth violin concerto with the Baltimore Symphony Orchestra this week, tonight (October 30, 8 pm) and Friday (October 31, 8 pm), at Meyerhoff Symphony Hall in Baltimore. Rarely comest though, Spirit of Delight. 'Tis since thou are fled away. Since my last post, miraculously, the Internet is working without a hitch! We left Hong Kong, on a two-hour train ride to mainland China and the city of Guanzhou, to attend the Canton Fair, the largest trade fair in the world. It was started in 1957, although the region itself has been trading with foreigners for more than 2,000 years. The modern version is held in the most amazing exhibition complex I've been to. It's brand new and massive, probably several square miles of impressive contemporary buildings; a dozen or so Javits Centers could fit within this space. Forty to fifty thousand exhibitors will show their goods here this month, so complex that the fair has been divided into 3 individual fairs. One week of electronics and hardware (guy show) is followed by ceramics, home goods, and row upon row of tchotchkes, ending the last week with fashion and anything apparel-related. Thousands of exhibition staff, 60s-style hospitality girls - with sashes - smiling - everywhere, very tight security, passports, badges, scanners. Add hundreds of thousands of fair attendees from all around the world, seeking business with China - that's a taste of the Canton Fair. The following day, my fellow travelers and I were driven by van to the Shengzhen airport for a flight to Shanghai. The highway was comparable to driving on Interstate 95 from Baltimore to NYC, only with open trucks jammed with pigs, chickens, ducks, and one gruesome sight, a truck jammed full of oxen on its way to market. All along the route, building projects were sprouting up everywhere, big projects -- nothing happening in China is small. There is factory upon factory making everything imaginable that the world wants and mile upon mile of very tall apartment buildings. Not boring minimalist worker housing -- these are contemporary designs attempting every architectural configuration possible with brick and mortar, some good ideas, some not so. This country of 1 billion people is a laboratory for everything necessary to evolve at light speed into a new world, whatever it takes - just do it. My first trip to Shanghai, once the Paris of the East, and I barely get 24 hours? Well, we only slept for a few hours and managed to see and taste quite a bit. It's a very impressive city, and yes, everything is big and splashy. Shanghai is a cultural hub for music, arts, and theater, so far a favorite of the trip. I could live there and look forward to returning for a longer stay. More details and a photo journal of my adventure at my Flickr site. I'm now in Beijing and will soon post more. Someone should start a new Christmas tradition by sponsoring an annual performance of Olivier Messiaen's vast piano cycle Vingt Regards sur l'Enfant-Jésus, instead of Handel's Messiah. Tickets would not be easy to sell, most likely, but at least it is a work that is really and exclusively about the birth of Jesus, with some formidable theological thought behind it. It would probably take me at least ten years of annual hearings to tire of it. The chance to hear the whole thing live in concert is rare enough, but Christopher Taylor compounded the achievement of doing so by playing the entire cycle from memory on Saturday night at the Library of Congress. One can only imagine the sorts of visions that knowing this music in such intimate detail might produce. 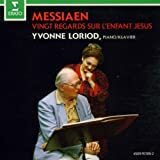 Vingt regards is notoriously difficult to play, often described as Messiaen's exploration of the technical limits of the piano and pianists, through the intermediary of his student, later second wife, Yvonne Loriod. Taylor's rendition offered dynamic, bravura playing, a daring close-to-the-edge approach that paid off major dividends in the loud, toccata-like sections -- the thunderous bass of La Parole toute puissante (no. 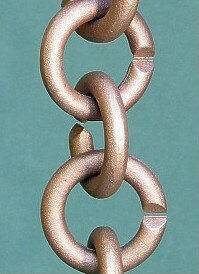 12); the bell-like Noël (no. 14); the wild ecstasy of the prophets, shepherds, and mages (no. 16); the expressionistic Regard de l'Onction terrible (no. 18). The exultant sixth movement, Par Lui tout a été fait, brought to mind the etymological background of the word exult, to leap with joy, David dancing before the Ark. There was intense, fizzy, jazz-inspired joy to many sections, especially the Regard de l'Esprit de joie (no. 10), an ecstatic boogie-woogie that is harmonically not that far from the world of Duke Ellington. In other places, there was a harshness in Taylor's touch that did not always please: while the Father's look (no. 1) was tender and loving, the star's look (no. 2) was at times raucous, at others a little square and methodical. Taylor may have had trouble concentrating after the fourth movement, where the repetitive nursery rhyme-like music mixed unhappily with the first of many cell phone interruptions. 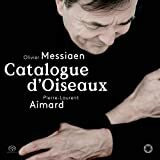 The fifth movement, Regard du Fils sur le Fils, had pleasingly avian warbling, based on some of the birdsongs cataloged by Messiaen, although there seemed to be a memory slip, quickly recovered, in the sixth movement. Somewhat distractingly, Taylor plays with disturbingly high blood pressure, an intensity of personal involvement that results in leg-raising antics, and vein-bursting, funny facial expressions. Affectation or no, it could be responsible for some of the playing being undernuanced. It was a good performance, with many striking moments, that did not quite add up to something great. The Messiaen Centennial continues at the Library of Congress with a screening of Paul Festa's documentary Apparition of the Eternal Church on Friday (October 31, 7 pm) and a concert of the composer's music by soprano Tony Arnold and pianist Jacob Greenberg on Friday (November 1, 8 pm). I wonder now if the critical outcry against it (Harold Schonberg in the Times called it "a combination of superficiality and pretentiousness, and the greatest melange of styles since the ladies' magazine recipe for steak fried in peanut butter and marshmallow sauce") was a reaction to the fact that this was clearly a very effective work even though it didn't fit neatly into anyone's idea of what a major work should be. Some pieces that seem trendy at their birth soon fade away. But the essence and achievement of Bernstein’s “Mass” have become clearer over time. In other scores, like his loftily titled “Jeremiah” Symphony, Bernstein was perhaps guilty of self-conscious striving for profundity. But “Mass” was driven by a deeply personal agenda. [...] A lingering criticism of “Mass” is that with his brash mixing of pop and classical styles, Bernstein came across as just too hip. But the evocations are expertly done. And today such blending of styles is commonplace. Young composers, who disdain categories, borrow from any style they care to. And why not? As performed Thursday at Meyerhoff Hall by the Baltimore Symphony, under Bernstein protege Marin Alsop's disciplined baton, the seldom-revived "Mass" re-emerged as the moving and visionary piece it's always been -- arguably the best thing Bernstein ever wrote. The composer was onto something brilliant with his shameless mix of musical styles, reflecting the diversity of the real world; the nuances that people find in matters of dogma and ritual; and the many, often secret ways they part company with the authority of church or state, even while going through the proper motions. What’s startling about the piece is its formal authority. Even those who appreciated Mass at its 1971 première seemed to love it despite, rather than for, its shape. Yet from Mass’s form comes all its force. 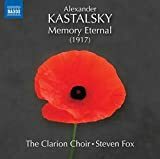 True, Bernstein didn’t create it from the void: Britten’s War Requiem of 1962 had similarly challenged churchly consolation with dissenting song, albeit within a much narrower musical range. But Bernstein upped Britten’s stakes, squared his subject. Mawkish and sentimental, the work oozed the kind of New Yorky armchair agitprop skewered by Tom Wolfe in his book "Radical Chic & Mau-Mauing the Flak Catchers." "Mass" was, in effect, Mr. Bernstein's confused classical response to the radicalized 1960s, wrapping its garbled antiwar, anti-Nixon vibe in psychedelic, feel-good packaging reminiscent of the groovy Day-Glo brotherhood portrayed on the Beatles' "Sgt. Pepper's" album cover. The composer used the Roman Catholic Mass as a frame-tale around which to wrap his secular approach to religion. With an assist from "Godspell" composer-lyricist Stephen Schwartz, Mr. Bernstein's book is a crazy quilt of liberation theology and situational ethics. Worse still, the climactic smashing of the Eucharist near its close is pure sacrilege for practicing Catholics. A restless maybe-genius, [Bernstein] vacillated between conducting, composing, piano-playing, educating and serving as a cultural hero. His most grievous fault may have been a short attention span. On Friday, Marin Alsop led a cast of hundreds in a noble, possibly futile, attempt at aesthetic resuscitation. The object of her loving labour was Bernstein’s Mass. 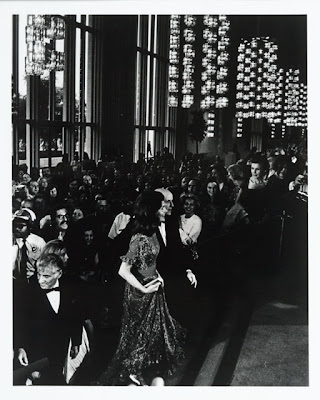 Profoundly showbizzy, pompously pious and pretentiously trendy, it was a mess when it inaugurated the Kennedy Center in 1971, and it still is a mess. Bernheimer's review is right on the money. After all the current attempt to resuscitate Mass, I think Harold Schonberg had it right on this one. The 21st Century Consort does the city of Washington a great service by taking risks in programming contemporary music and putting together a team of fine musicians, many from the National Symphony Orchestra, to perform it well. One can rarely argue that the new works performed by the ensemble do not get a fair hearing in the best light. All the more certain, then, that when works fail in this setting, it is because they are failures. Much of the first concert of the group's new season, on Saturday afternoon at the Smithsonian American Art Museum, unfortunately fell into that category. The program, ostensibly devoted to the scares of the season, both Halloween and the U.S. presidential election, was an overlong and oppressively cutesy affair that felt like a tour of mediocrity. 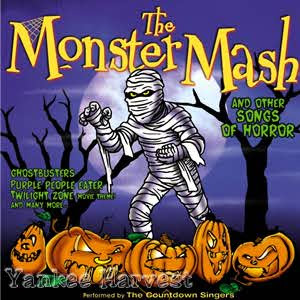 Arguably, the concert's high point was in the second half, the zany song cycle Frankenstein!! by former Vienna Choir boy H. K. Gruber. 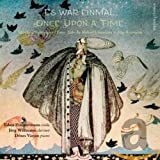 We managed to avoid it when Marin Alsop programmed it for the Baltimore Symphony Orchestra last October, with the composer himself conducting and performing the solo narration, the goofy but macabre poems of H. C. Artmann. This was the composer's alternative version for chamber ensemble, including kazoos, slide whistles, sirens, and other toys. It is an often whimsical, brightly colored, ultra-personal work, a sort of musical counterpart to the phenomenon of art brut or visionary art, if only by appearances, since Gruber is very much an academically trained composer. It has the same sort of earnest simplicity, going against the expectations of modern music by embracing the most basic structures, harmonic and formal. It was well performed, with a mock-serious solo part from baritone Peter Becker, but I hope never to sit through the work again. A miniature by Charles Ives, Hallowe'en, came across like a different type of defiance of modernism, capping off a pseudo-academic contrapuntal exercise with a vulgar marching band cadence, complete with bass drum. Kathryn Alexander's And the Whole Air Was Tremulous, inspired by a passage in Virginia Woolf's Jacob's Room, recapitulated the space-music sounds of every other avant-garde work for solo flute, this time combining the fine flutist Sara Stern with a recording of the composer on several flutes mixed together. Jon Deak's Lucy and the Count, a comic Dracula interlude for string quintet, would be perfect for a children's concert. A performance piece described as a "choreography" was a cringe-worthy series of pratfalls followed by a seemingly improvised stand-up routine. What happened to the works by Eric Moe (Three Ways to Relieve Tension) and Mark Kuss (Fear, planned as a world premiere) that were originally announced? One can only assume that much of this program, as it was actually performed, was slapped together to replace pieces that had to be withdrawn for some reason. The next program offered by the 21st Century Consort, Natural Affinities (December 6, 5 pm), looks much more promising, with music by Copland, Saariaho, Joan Tower, and Augusta Read Thomas. 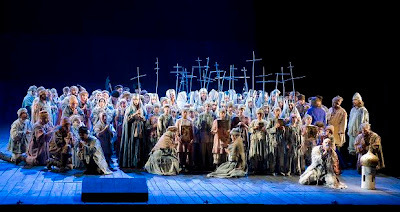 Our thanks to guest critic Robert R. Reilly for contributing this review of Idomeneo and Boris Godunov from the San Francisco Opera. 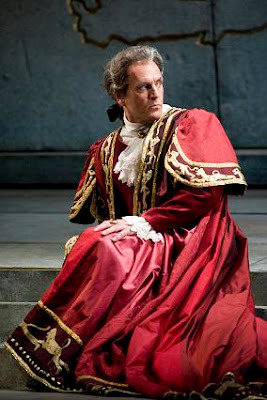 Seeing Mozart’s Idomeneo and Musorgsky’s* Boris Godunov back-to-back at the San Francisco Opera on the evenings of October 21 and 22, I did not expect to be struck by the similarity of their themes. What could this Enlightenment opera, penned in Munich in 1781, have to do with the darkness and gloom of unenlightened czarist Russia of 1869? 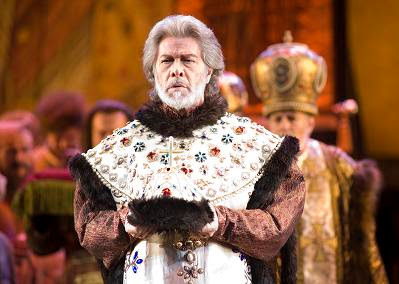 Boris Godunov offers another troubled ruler. At the beginning of his reign as tsar, Boris prays, “may I be good and just like Thee.” This does not appear, however, to be something God can grant or Boris’s conscience allow – because his reign is based upon an act of murder. Unlike Idomeneo, who was only willing to sacrifice someone for himself, Boris actually did so in having the Tsarevich Dimitri killed so that he, Boris, could rule. The consequences of this horrible deed are played out in this original 1869 version of Musorgsky’s opera. 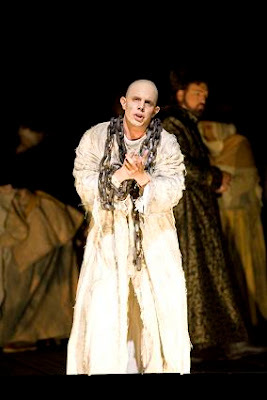 Before Boris goes mad, he delivers a prayer for “my innocent children.” That this scene and its music can bring tears to one’s eyes is a measure of Musorgsky’s achievement in presenting the full scope of Boris’s tragedy by showing Boris in his full, though flawed humanity. In counseling his son, he sings, “Keep your conscience clear for it will be your power and strength.” In other words, no one realizes better than Boris that the good order of the ruler’s soul is the foundation of his political strength. Philippe Herreweghe is not really compiling a complete recording of the works of Bruckner, but he has shown a long-term interest in the Austrian composer's works. Whether the results are intriguing or damnable depends on your point of view. Even our own Jens Laurson, who has a much more extensive familiarity with the Bruckner discography, admitted of Herreweghe's recording of the seventh symphony that it was "actually rather a delight," later noting a more qualified estimation of the conductor's take on the fourth symphony, which was "a tad choppy." To state things pleasantly, the Bruckner traditionalist will probably be no happier with Herreweghe's latest Bruckner, the F minor Mass. In a sense, Herreweghe is doing with Bruckner what Boulez did with Wagner, circumventing a century of performance practice and move from massive density to more transparent clarity. Bringing the attitudes of the historically informed performance movement to bear on Bruckner may not be as crazy as it seems at first blush. Bruckner, while hardly a Caecilian in the reactionary sense, was as steeped in medieval and Renaissance music as almost anyone in the 19th century. Most of the difference can be summed up in the handling of the tempo markings, and Herreweghe's approach can best be described as fleet. Herreweghe's timings are shorter, movement for movement, by 25% or more when compared to a favorite recording, the Munich Philharmonic with Celibidache (also available as a DVD). This may rarify the contrapuntal structures, making them easier to follow, but it comes at the expense of a certain elemental timelessness. The performing forces are good, but there are some intonation problems with Herreweghe's larger vocal group, the RIAS Kammerchor, whose pitch sags to an uncomfortable flatness in some unaccompanied sections, of which there are many. 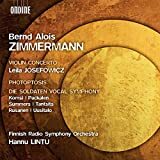 Baritone Alfred Reiter is a little wobbly and throaty for my taste, but soprano Ingela Bohlin brings the same clear, radiant tone that has endeared her to so many HIP conductors. 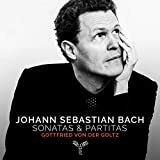 It is hard to see recommending this without qualification, especially at import prices, when the remastered 2-CD Barenboim set, for example, is available at such a discount. Still, it may appeal to a listener who has not found the massive, traditional Bruckner much to his liking. I am currently in Hong Kong and will be traveling through parts of mainland China over the next two weeks. So far I survived a 15-hour flight from Newark, have had some good food, and am blown away by the incredible building spree that has taken place in this city. At first glance everything seems new, tall, sheathed in glass, and spotlessly clean. The subway system is also new, spotless, very efficient, and will take you just about anywhere for a few dollars; cabs are on par with NYC. Also on par with NYC, the economy is beginning to show some effects of the decline, with fewer room bookings and empty restaurants. My trip, a last-minute plan, is a bit of a whirl-wind. I'm trying to fit in as much art viewing as I can, along with taking lots of pictures and posting them here and on Flickr. Well, I would love to post them on Flickr, but I can't, because the photo sharing site is blocked. Even in Hong Kong I am unable to upload pictures to my account. At this time maybe one or two images out of a dozen will slip through and load up. Amazingly two images loaded into Blogger. I'm trying a few applications to get around censors, Vidalia (a non-profit group making the valiant try) and a few Firefox add-ons, but so far nothing has worked. If anyone has a suggestion I would be happy to be a guinea pig for open Internet access. Widmann / Kurtag, Botschaften / ...umdüstert..., Austrian Ensemble for New Music et al. 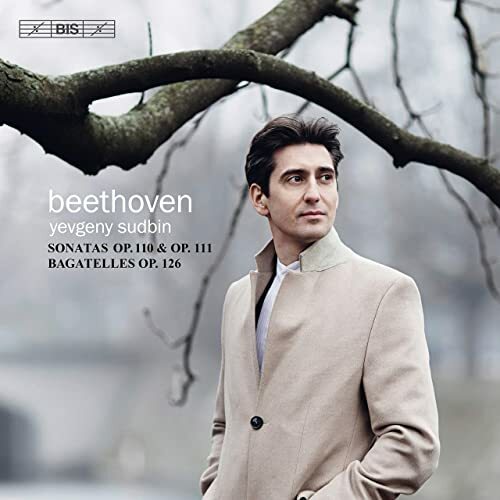 On Thursday, September 25th, the Bavarian Radio Symphony Orchestra opened the 2008/2009 Season with two Beethoven symphonies, preceded by the world premiere of a commissioned overture by Jörg Widmann. 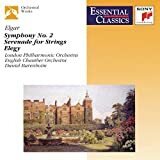 For Beethoven they chose the ‘sister symphonies’ Seven and Eight, and beautiful and eager orchestral playing was notable right from the explosive opening F-major bars of the Eighth. Audibly happy to start the new season and to play under their music director Mariss Jansons again (after a long summer of accompanying competition concerts), the BRSO tore into the music with élan, a lean sound, and refreshing vigor. Jansons presented the type of modern Beethoven interpretation that incorporates the best ideas of the Historically Informed Performance school with the best sound of the modern symphony orchestra: full of energy and with dynamism that makes these performances sound so exciting. 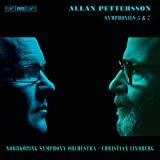 Think of recent recordings by Osmo Vänskä, Paavo Järvi, or Thomas Dausgaard as exemplars. The symphonies end up sounding classical in perception rather than late romantic, without pretending to be Haydn. Jansons’ straight-laced and straightforward Eighth had nothing of the burnished and indulgently shaped qualities that his neighbor at the Munich Philharmonic, Christian Thielemann, might have brought to it. Judging from the applause, most in the audience were taken away by the verve of this reading – though a few probably wouldn’t have minded a bit more mellowness especially in the opening Allegro vivace e con brio. 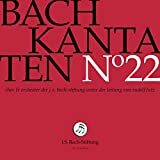 The more popular and less demanding Seventh in F-major, the bigger sister of the brilliant and clever Eighth, got a more conventional treatment from Jansons, less fiery and only occasionally updated with sharp accentuations of small phrases. 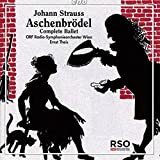 From the bold Poco sostenuto – Vivace to the tender, familiar Allegretto, the impetuous Menuetto and the driven but meaty finale (Allegro con brio), the high general standard one can safely expect from this orchestra under this conductor, was met. Although nominally sold out, not every subscription holder had come to the Philharmonic Hall at the Gasteig to listen to a contemporary piece. Perhaps if they had been told that Jörg Widmann’s “Con brio” concert overture lasted only 12 minutes, they might have reconsidered. They would have encountered a Beethoven tribute certain to stir, but not likely disturb them. Widmann, a 35 year old clarinetist and composer born in Munich with a significant discography to his name in both functions, was commissioned to compose Con brio as an overture for the BRSO’s new season – and to relate it to the two Beethoven symphonies it would be paired with. 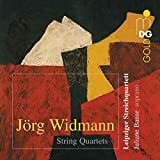 Widmann complied in many ways – most obviously by using an identical orchestra with two flutes, oboes, clarinets, bassoons, horns, and trumpets, a timpanist and strings. Although he says that he didn’t quote a single note from Beethoven, the work teems with quasi quotations that may not be literal, but remind every listener exactly which composer is receiving a tribute here. 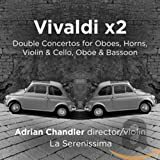 These familiar chords first rip through the introductory hiss of the woodwinds’ toneless blowing and they return throughout the work – as repetition, in addition to contrast and musical blocks, is the most evident element Widmann employs. The greatest achievement of Con brio might be the combination of a conventional treatment of the orchestra and its instrumental sections, and conventional beauty rearing its head throughout – without ever sounding as though it pandered to the conservative audience. It works because Widmann doesn’t treat the moments of beauty and obvious tonality (F- and A-major, in reference to the symphony) with the irony many other modern composers do, assuming they dare touch traditional tonality or beauty at all. The reoccurring fanfares, the brief moments that wouldn’t be out of place on a James Bond soundtrack, a timpani part that sounds like a hamster with unclipped nails locked in the dryer, the familiarity that’s always just around the corner juxtaposed with unrepentantly modern elements, the repetitions and a Copeland-esque touch at the end, all result in a work that is eminently listenable. Anyone with an appreciation of Schnittke would have been particularly pleased. With brevity, the most underrated of musical values, on its side, it’s an entertaining, interesting, and thoroughly invigorating 12 minutes. 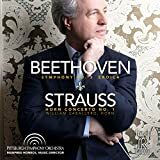 A treasure among so many commissioned pieces that aren’t, and bound to find acceptance and play-time with many other orchestras programming either of these two Beethoven symphonies. At last week's performance of Mahler's third symphony by the National Symphony Orchestra, a few marvelous recordings hung uncomfortably in my ears. Not least among them was Claudio Abbado's latest, with his Lucerne Festival Orchestra at the Proms two years ago, heard by Internet broadcast. This DVD also crossed my desk recently, a live performance with the same forces, in the Lucerne Festival Hall on August 19, 2007. The comparison to the NSO is perhaps not fair to make, but it is important to do so, for objectivity's sake. That is, not really to hold the feet of the lesser orchestra to the fire, but to ensure that one's ears can tell the difference between superlative and merely good. Abbado has lived with Mahler's third for a long time, and he works so well with the Lucerne musicians, a combination of younger players from the Mahler Chamber Orchestra and decorated veterans. It is hard to complain when you have principals like Sabine Meyer (clarinet), Reinhold Friedrich (trumpet), Natalia Gutman (cello), and members of the Hagen and Alban Berg Quartetts in your string section. The first movement's march was so solid, although there were a couple minor incidents of ununified ensemble in the scherzo. The vocal contributions are just as strong, with probably the best Mahler earth mother of our time, Anna Larsson, as the soloist. The women of the Arnold Schoenberg Chor and the children of the Tölzer Knabenchor were cheery, brash, and full of sound. 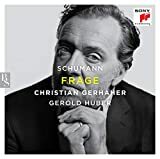 The only minor drawback is the sound quality, which does well at the high end of the dynamic span, but Abbado's attention to the absolutely hushed, almost silent moments turns up here as mostly an absence. 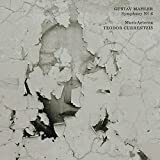 Abbado and his players are punctilious about Mahler's indications, too, and as anyone knows who looks at the average Mahler score, the composer left no doubt as to his intentions. Many pages are littered with extensive markings and even footnoted remarks to the conductor. Under Abbado, the horn bells go up in the air where Mahler wrote it, and there are cloth sound dampers, as indicated, over the bass drum and the bells of the trumpets and trombones (in the last movement). It is a minor point, which I left out of my review of the NSO Mahler 3, but the Baltimore Sun's Tim Smith remarked on the "turning inward" or "softening in the very last seconds" that Iván Fischer conducted on the last movement's final chord. It was a pretty effect, and it may even have been "marvelous" as Tim Smith put it, but Mahler specifically marked that massive final chord with the words "ohne Diminuendo." Abbado's final chord has no turning inward, only an eternity-minded expansiveness, filling time and space. As preserved on this DVD, the audience sat in stunned silence long after its last reverberations had ended. Two leading performers of the young generation of French classical musicians, cellist Jean-Guihen Queyras and pianist Alexandre Tharaud, will be playing in Washington in the coming week. In nearly back-to-back concerts at La Maison Française, Tharaud will revisit his latest recording, the Chopin preludes, and Queyras will play with the Chamber Orchestra of Philadelphia. 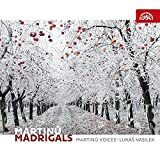 Their collaboration on disc continues with this new oh-so-French release, combining the cello sonatas of Debussy and Poulenc, with a few rich viennoiseries off the dessert cart. 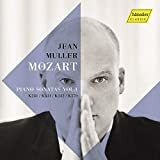 Most of Tharaud's recordings make a point of combining old and new, and the program of this CD makes reference to the nationalistic embrace by many French composers of historical French music. In a sense, Tharaud has followed in their wake, by releasing knock-out recordings of Couperin and Rameau, and acknowledging how the historically informed performance movement influenced his career. Few listeners these days would likely need to be convinced of the recording's main premise, that Debussy's music has more in common with Poulenc's than different. 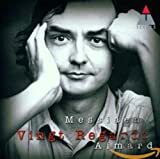 Both performers have shown their commitment to more recent music, too, and Tharaud's worthy recording of Ravel's complete piano works shows that he is more than familiar with music of the early 20th century. (In his recital at La Maison Française on Friday, he will combine the Chopin preludes with Ravel's Miroirs.) The two big sonatas are fairly known quantities, and Queyras and Tharaud play them with a Frenchness that is both self-aware and unapologetic. 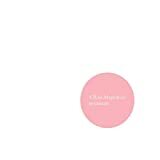 The Debussy has the right combination of gauzy lightness, Queyras's tone often slipping behind pastel veils, and Spartan, hard-glazed austerity. The Poulenc is more acerbic in some ways, a little more vulgar in its embrace of the music of the boulevards. The story of the disc is in the little pieces that surround the sonatas, including most notably Poulenc's Suite Française, which was conceived originally as incidental music played by a chamber ensemble for the play La reine Margot. Nadia Boulanger, who so often helped other composers by connecting them to music of the past, suggested that Poulenc use some 16th-century dance music by Claude Gervaise as a starting point. Poulenc arranged the work in a number of different versions, including this one for cello and piano, another way that Queyras and Tharaud join the new to the old. The menu of amuse-gueules that might serve as sparkly little encores includes Poulenc's heavy-footed D minor bagatelle and a smoky arrangement of the intentionally smarmy waltz known as La plus que lente. In concerts at La Maison Française, Alexandre Tharaud will play the Chopin op. 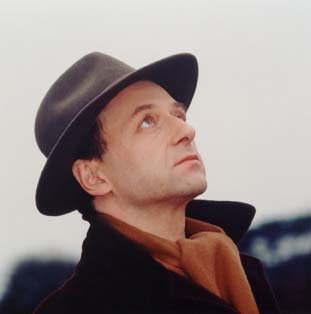 28 preludes and Ravel's Miroirs this Friday (October 24, 7:30 pm) and Jean-Guihen Queyras will play with the Chamber Orchestra of Philadelphia next Tuesday (October 28, 7:30 pm). The unquestionable quality of the Festival Strings Lucerne chamber orchestra’s free Sunday performance at the National Gallery of Art made for a memorable musical experience. Combining the soothing timbre of sixteen stringed instruments – unencumbered by winds, brass or percussion – with the uniquely wet acoustic of NGA’s West Garden Court allowed Mendelssohn’s Sinfonia for Strings No. 9 in C Major (“Swiss”) to soar. 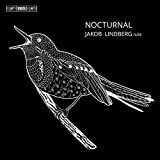 As it was written when Mendelssohn was only fourteen, one may initially write off the work as being overly Classical, formal, and having a “cuckoo” motif. However, beyond the first movement, Mendelssohn offers a canvas of distinctive material that is continually developed. The 52-year-old ensemble conducted by Artistic Director Achim Fiedler especially cherished the second-movement Andante with a perfect, wafty tempo and the conveyance of endless lines (never individual notes) in the movement’s first section, for violins only. 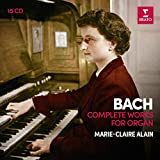 The cleverly contrasting second section for bass, celli, and violas contained gushing suspensions and counterpoint so strict Bach would have approved; the work continually looks forward and backward. The statuesque, yet free composure and frequent eye contact between ensemble members contributed to the overall sense that there was nowhere else in the world the musicians wanted to be. The audience was further convinced of the musicians’ genuine enthusiasm when ensemble members began to vigorously “whoohoo” concertmaster Daniel Dodd’s fun performance of Sarasate’s Carmen Fantasy, arranged for strings by Caspar Diethelm. Dodd’s Stradivari “ex Rudolf Baumbartner” instrument from 1717 had a sweet, focused sound nearly able to equal the lyricism of the human voice. Dodd’s wide ranges of expressivity and dynamics were welcome and made up for any issues with harmonics in the Sarasate. The audience and ensemble coaxed an intense encore out of Dodd in Ysaye’s Ballade, which wanders through violin techniques and styles ranging from Franck-like harmonic language and lyricism to neo-Classical material. The second half of the program began with stellen, a new work for 14 stringed instruments by Dieter Ammann (b. 1962), which is based on the flowing development of contrasting ideas. Techniques of bridge and bass smacking (making the bass a type of drum) helped maintain coherence in the overall balance of the work, where contrasting material by ensemble sections created an intriguing perpetual movement while always being tidy. Brahms’s Quintet for Strings No. 2 in G major, op. 111 (1890), arranged by Artistic Director Achim Fiedler, was divine. The first movement (Allegro non troppo, ma con brio) embodied everything the key of G major offers best: optimism, joy, hope, etc. The final movement was something of a Slavonic hoedown. Fiedler’s conducting drew minimal attention to himself, while focusing the energy of the ensemble without causing them stress. He also was able to extract a very rich bass sound from just three celli and a double-bass. Your reviewer’s sitting in the front row just two feet from the conductor also had the unintended consequence of exposing him to individual inconsistencies of the performers, in particular a back row second violinist who was never quite with everyone else. Overall, the performance showcased a continental steadiness and composure one wishes to hear more of from American ensembles. This cool confidence and low-maintenance technical approach to music making is more sustainable for the performers and more likely to put an audience at ease. The Festival Strings Lucerne were proud of their performance; their audience was likewise proud to have been in attendance. This Sunday's free concert at the National Gallery of Art will feature the superlative Wiener Klaviertrio (October 26, 6:30 pm). It is likely to be one of the best concerts of the museum's fall schedule. Ewa Podleś, a Polish singer whose voice defies description, recently returned triumphantly to the stage of the Metropolitan Opera in La Gioconda, after an absence of over twenty years. She had not been away from Shriver Hall that long, only four years, when she came with her frequent recital partner Garrick Ohlsson for a recital that opened the venue's fall season. The program opened with one of her signatures, a set of Chopin songs, settings of poems by Stefan Witwicki from op. 74 (last under review from Rosa Lamoreaux in 2005). 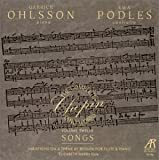 Many of these songs are fairly simple and strophic (Chopin wrote them for amateur use), but they proved most effective vehicles for Podleś, who had the advantage of native pronunciation of Polish. She created winning characterizations for each song, from the simple charm of The Wish to the driven force of The Warrior and especially the folksy appeal of Merrymaking, which was performed as a sort of boozy waltz. Here, where Podleś sounded so close to a male timbre, as elsewhere, this was a volcanic voice that seemed to erupt from somewhere under the earth's crust. Now in her 50s, Podleś is still singing with husky ferocity. She was well matched with Ohlsson, who played with the piano lid up and mostly at full bore, as in the booming postlude of the first song of their Tchaikovsky set, Does the Day Reign?. Podleś seemed no less authoritative in Russian, and the scope of her voice seemed to broaden with Was I Not a Little Blade of Grass, in which she brought to life a young woman married to an old man. The theme came back in Zemphira's Song, sung by a young wife who detests her husband and falls in love with a younger man, a sort of predecessor of Katarina Izmailova. The set also highlighted the singer's outrageous range, which stretches from fairly high for a contralto to shockingly low. Ohlsson opened the second half with a set of Scriabin pieces, beginning with the second piano sonata. For all that much of Ohlsson's playing, here as noted elsewhere, was on the overly hammered side, much of this part of the program was more delicate. The sonata had some una corda sections with little wisps of chromatic melody tailing off, Chopinesque arpeggiation, twinkling harmonies in the background. In fact, the second movement, while technically just fine, could have done with a wilder edge. One of the Scriabin Poèmes (op. 32, no. 1), an enigmatic wandering through an aimless Debussyesque landscape of perfumed veils, was more effective than an etude (op. 42, no. 5) that was a bit four-square and oddly clattering. Nothing could have prepared the listener, however, for the abject terror elicited by Podleś as the specter of death in her final set, Mussorgsky's Songs and Dances of Death. 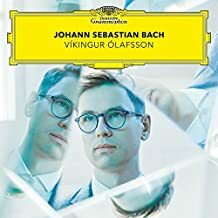 Here as throughout the recital, Ohlsson accompanied from memory, with his eyes almost always focused on his singer, allowing him to calibrate the folk-style accelerando in Trepak precisely to her pace, for example. As much as she may have overplayed some of Death's campier sides, strumming an air guitar during the Serenade, for example, the combination of the dark, earthen tone of her voice and the snarl of ruthless hate on her face were bone-chilling. Podleś was quite correct to decide that there could be no encore to follow such a thing. The next concert at Shriver Hall will feature the soon-to-retire Guarneri String Quartet (November 2, 5:30 pm). 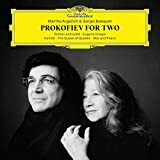 Music for Two Pianos: Martha Argerich et al.